Megavenues launches first of its kind Business App for Partners to handle business on the go. 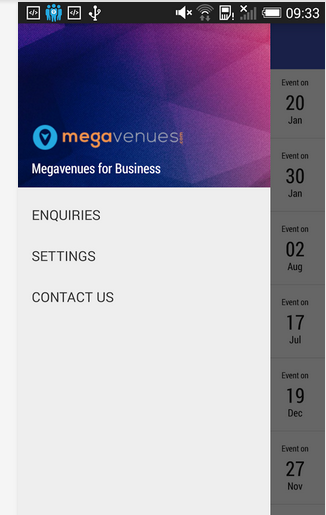 Pune, 29 July, 2015:Megavenues.com, India’s largest online marketplace for personal and professional event venues & vendors has announced the launch of Megavenues Business App, a significant development for partners – venues and vendors. The Megavenues website helps users find suitable venues for their events like wedding, reception, private party, birthday party, training, conference, meeting and many more. This app will enable the venues and vendors listed with Megavenues.com to connect with their customers and drive more business. 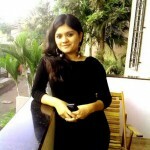 Thus, the business owners can expect faster conversions, increased number of leads and in turn more revenue. 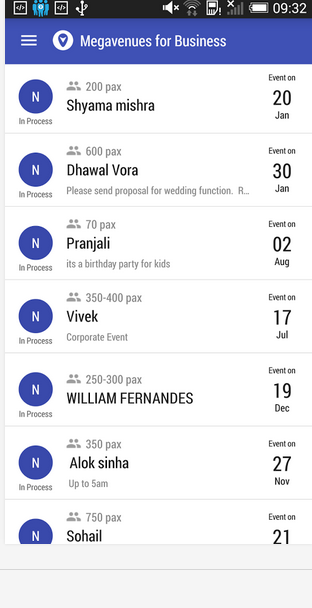 This exclusive business app is available on Google Play Store for all android devices. 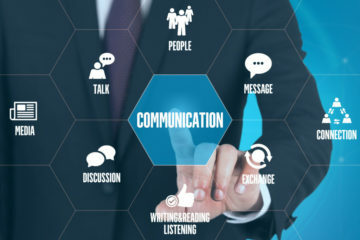 It has many distinctive features such as a dashboard which has a list of leads with their contact information, details of the requirement and also a provision to make notes to self. Moreover, you can also change the status of the lead depending on the stages of the sales cycle and it notifies you when a new lead is generated. “The Megavenues for Business App will accelerate the business processes of our partners multi-folds and only tool required for all of this is a simple smartphone. 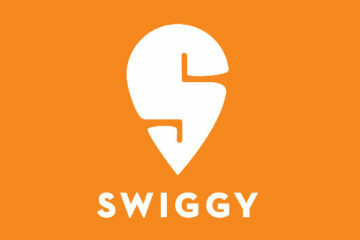 The Megavenues App for Business is a win-win solution for both the customer as well as the business owner as the customer receives a response from venue or the vendor well in time and the business owners can convert the lead into business while its hot.” said Shrinivas Chaphalkar, Co-Founder, Megavnues. In addition,Puranjay Kumar, Catering Sales Manager at Vivanta by Taj, Bangalore said, “With the emerging online era in the world of Hospitality & Event management we are far more connected now to our most valued customers. 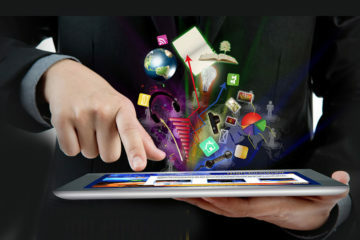 Now with the Megavenues for Business App, we are quite sure to be more connected, than ever before. Megavenues.com is sincerely delivering their commitment on taking us to more customers & delivering more banquet business to our hotel. The upcoming features for this app include a feature that will enable the business owners to chat with the lead on the app itself. 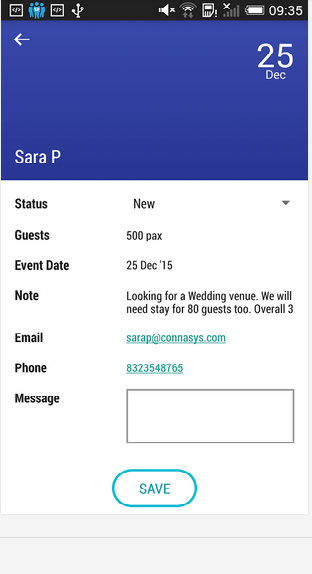 Venues and vendors will also be able to generate sales reports and much more. 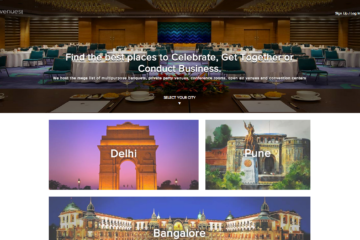 Megavenues is an online and mobile venue search and discovery service which provides in-depth information for 10000+ venues across 4 countries. Megavenues’ core content features include authentic info, photos, and geo-coded coordinates for venues and individual event spaces; users can rate and review venues, as well as create events and invite guests. Next ArticlePay no brokerage fee by choosing NoBroker.com platform! Megavenues Launches Chatbot To Make Event Venue Search Easier!